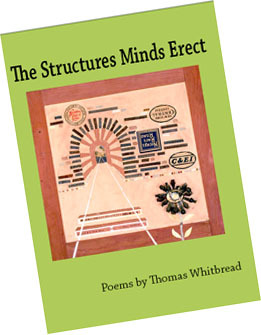 Thomas Whitbread was born in 1931. He attended Amherst College (B.A., ‘52) and Harvard University (Ph.D., ‘59). Since 1959 he has taught English courses, chiefly in 20th Century Poetry and Creative Writing, at the University of Texas at Austin. His previous books of poetry are Four Infinitives (Harper & Row, 1964) and Whomp and Moonshiver (BOA Editions, 1982). The first book won, the second co-won, the annual Poetry Award from the Texas Institute of Letters. A short story, “The Rememberer,” won the third Aga Khan Award, given by The Paris Review, and was reprinted in Prize Stories 1962: The O. Henry Awards. His poems and stories have appeared in twenty anthologies and numerous journals, including The New Yorker, Harper’s, The Texas Observer, Shenandoah, The Virginia Quarterly Review, Borderlands and Poetry Northwest. He has long loved railroads, and still tries to count cars when he sees a train on VW vacation drives throughout the contiguous United States. His favorite places include western North Carolina, the Oregon coast, the Uncompahgre River valley of Colorado at Ridgway and Cape Cod. The globe, gaze flattening the far horizon. Of what war does, of what that bombfall did. Seems a solid, peaceful, and eternal mushroom. To be a horror in the heart of life.